Website Virus Scan - How does it Protect Your Website? Website security is any action taken to prevent website data from getting exposed to cybercriminals or to prevent websites from getting exploited. Websites are prone to malware attacks as malware can very easily get into a system and lead to serious damage. Here damage refers to losing confidential business data, credit and debit card details, login names and passwords and other such sensitive details. A virus is one common type of malware that can automatically generate and install a copy of itself on a computer’s files, besides spreading itself from one computer to another computer. Viruses also infect websites through several ways with each one requiring the hacker to obtain access to the Web server in some way or another. This has now become very common and the hacker doesn’t really have to anything manually in order to accomplish this. Hackers begin by tricking an online business owner to download a virus to their personal computer. After the virus gets on the computer, it starts logging all of the keystrokes that get typed on the keyboard. For instance, when the victim logs into his/her web hosting account, their password gets cataloged into a database automatically and the account is thus hacked. This is how a virus can basically affect your computer. This is the reason why is it always essential to run a website virus scan on a regular basis. Upon gaining access to your web hosting account, the hacker gets all the access to install malicious scripts on your web server. This allows the hacker to redirect your traffic, spy on your traffic sources, change the content on your websites, and infect the computers of all of your site visitors. After uploading itself to the web server, the virus installs itself on websites that are contained on that server. Thus, website viruses are considered to be more widespread within shared hosting plans, as it is possible for thousands of webmasters to share a single web server. Websites can get infected with a virus even if the website owners do not have a virus on their personal computers. The virus is capable of spreading from one website to another website within the Web server itself and hence this indeed is one serious and urgent security issue that web hosting companies will have to deal with immediately. A virus living on your website can cause severe damage to the reputation of your online business, eventually resulting in a major loss of traffic. Internet surfers usually work under the protection of an antivirus software responsible for warning them when they are about to visit a virus infected website. In such scenarios, most of your visitors will be warned not to enter your website. Even those who do not have antivirus software could be warned not to enter your website by search engines, which often catalog websites that are reported to be infected. However, a good number of Internet surfers fail to understand that the website owner is just as much of a victim as the website visitors, and instead they believe that the owner of that particular virus infected website is responsible for hosting a virus on their website. 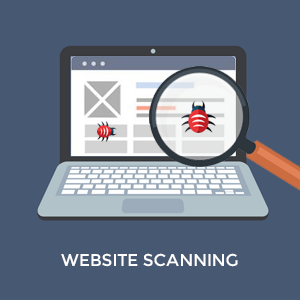 Use a website scanner to spot vulnerabilities and possible malware infections. Use a web application firewall (WAF) capable of blocking bad bots looking for vulnerabilities. Keep your plugins and applications updated. Very often, updates include critical security patches, hence staying on top of updates guarantees that you are running the most secure versions of your applications. How to Protect Your Website from Malware? Create and use unique and strong passwords. A weak password will surely make a hacker’s job very easy. Install patches and updates as they are released and only use plugins you can trust because sometimes malware can sneak through “fake” plugins. PCI compliance guarantees protecting both your business and customers from cyberattacks and remember that failure to comply could result in huge fines. Use a web application firewall (WAF) to block malicious bots as bad bots are used by cybercriminals to identify vulnerabilities they can use to infect your website with malware. Besides blocking these bad bots, WAFs also reduce your chances of a malware infection. Finally, install a website virus scan tool that is always considered to the easiest, fastest, and most reliable way to remove website malware. A malware infection is thus something you will never want to experience, and the good news is that you very well know that such an infection can actually be prevented. All you have to do get a reliable and efficient website virus scanning tool that automatically does all that is needed to help your website be clean and free from malware. To make your life easy, Comodo offers cWatch – a managed security service providing web security through its six layers of protection that also include a malware detection scanning, prevention and removal feature. Detects malware, provides the tools and methods to remove it, and prevent future malware attacks. The WAF is a powerful, real-time edge protection for websites and web applications providing advanced security, filtering, and intrusion protection. The center has a team of always-on certified cybersecurity professionals providing round-the-clock surveillance and remediation services. Allows both service providers and merchants to stay in compliance with PCI DSS. A global system of distributed servers to enhance the functioning of websites and web applications. Provides actionable intelligence that can leverage existing current events and data from 85M+ endpoints and 100M domains. Why is cWatch Web the Perfect Website Virus Scanning Tool? cWatch scans websites daily in order to quickly detect and eliminate malware that could infect the website. If a threat gets detected, email alerts are sent to Comodo’s CSOC along with the impacted organization with complete instructions and next steps on how to swiftly detect and eliminate the threat. Comodo’s security analysts will execute a complete analysis to identify the root cause and events that led up to a detection. This service allows organizations to understand what processes, files, and registry keys were touched by the malware so that they reduce any downtime. cWatch Web stops website threats even before they hit an organization’s network. Comodo’s advanced security analytics engine that monitors threats all over the world is combined with real-time data from web traffic in order to provide early warnings and indicators that help identify and block delivery techniques, zero-day vulnerabilities, and new threats.